Induron’s Protecto 401 Ceramic Epoxy has been the industry standard for handling untreated wastewater influent for decades. Ceramasafe 90 brings this same 35 year track record of Ceramic Epoxy performance to the rest of your treatment plant assets. 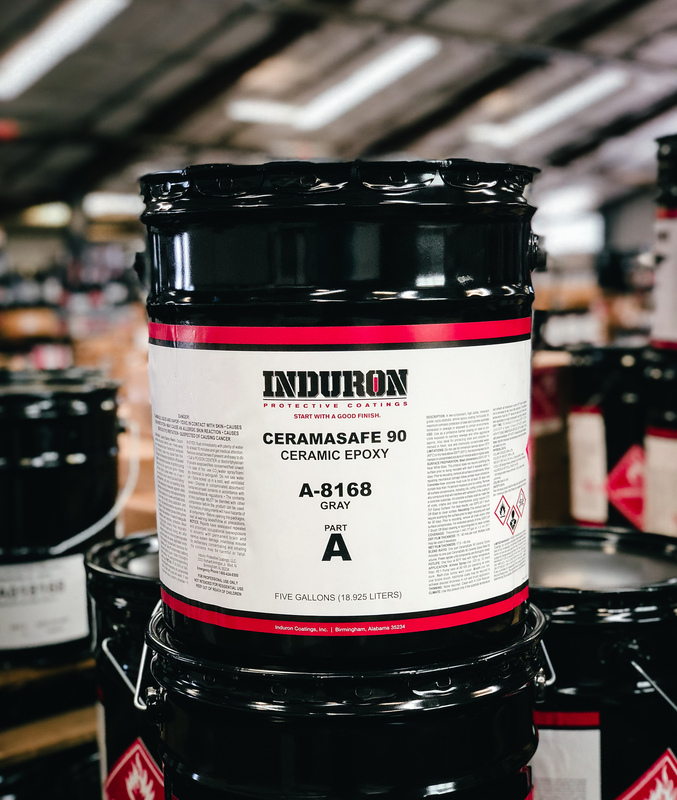 Ceramasafe 90 is a two-component, high solids, cyclo-aliphatic amine cured epoxy modified with a unique ceramic pigment package to provide outstanding permeability resistance and barrier protection. While most competitive products will add significant cost and complication to a project by requiring plural component application equipment, Ceramasafe 90 can be applied up to 40 mils in a single coat with standard airless spray equipment. This high build, high performance coating is formulated for maximum corrosion protection of steel, non-ferrous metals and concrete substrates immersed in sewage, exposed to hydrogen sulfide gas or exposed to many acids, caustics and other corrosive chemicals. Ceramasafe 90 has excellent cathodic disbondment properties.